State of the Art Marketing Showroom and Training Center plus security tie-in with existing locations of prominent property management firm. With 24+ million square feet of steel and concrete since 1978, Highwoods Properties owns, develops, acquires, leases and manages commercial properties in Atlanta, Greensboro, Memphis, Nashville, Orlando, Pittsburgh, Raleigh, Richmond and Tampa. Highwoods had recently purchased two additional buildings in Atlanta, GA. There were several needs for the property after purchase. These included a need to tie the acquired properties to one of their existing buildings to manage the camera surveillance centrally. They also needed to build a state of the art Marketing Showroom, a Training Center, and multiple conference rooms in the new space. What Technology amenities will attract tenants to the property? Need to determine the right configuration for the new Command and Control Center? How easy will it be to use the new equipment? 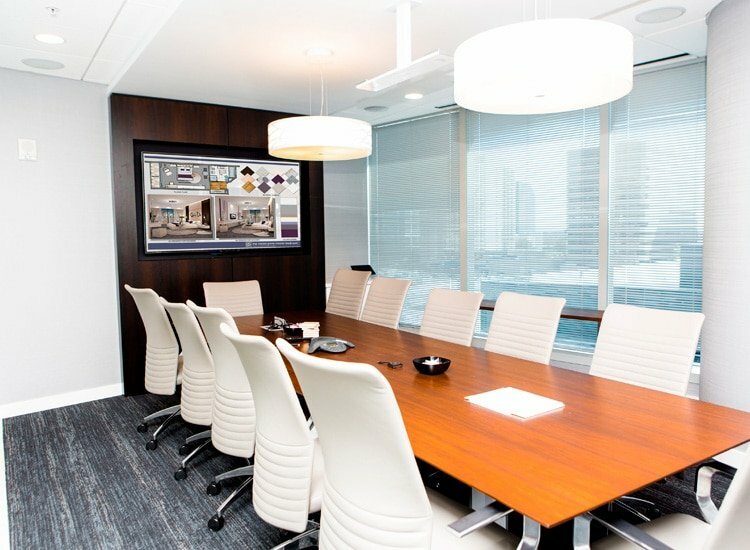 The ASD® Design Studio worked with the Highwoods executive team to evaluate options for their Security Command & Control Center and the additional collaborative spaces. The team explored options for video walls, control equipment and displays. After product demonstrations and extensive discussions Highwoods was able to decide on a solution that would meet their requirements and project budget. 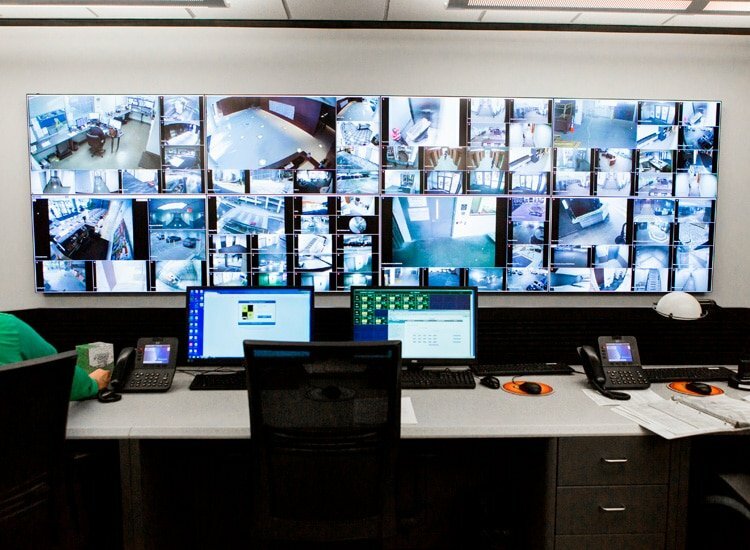 ASD® developed a state-of-the-art Command Center. Every aspect of their security monitoring strategy was addressed and the system enhanced the safety and protection of both people and assets. The Marketing Showroom, Training Center, and collaborative spaces have been a major asset for the Highwoods leasing team. 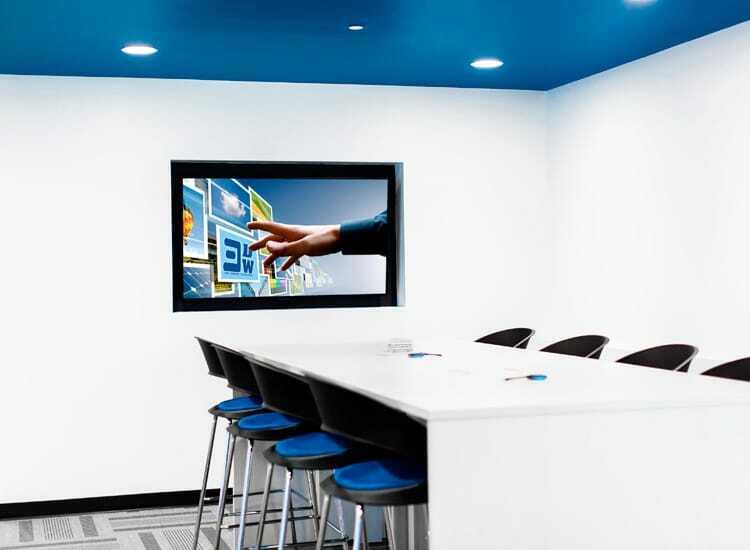 Clients are able to utilize these building amenities as part of their lease and enjoy a savvy technology environment. 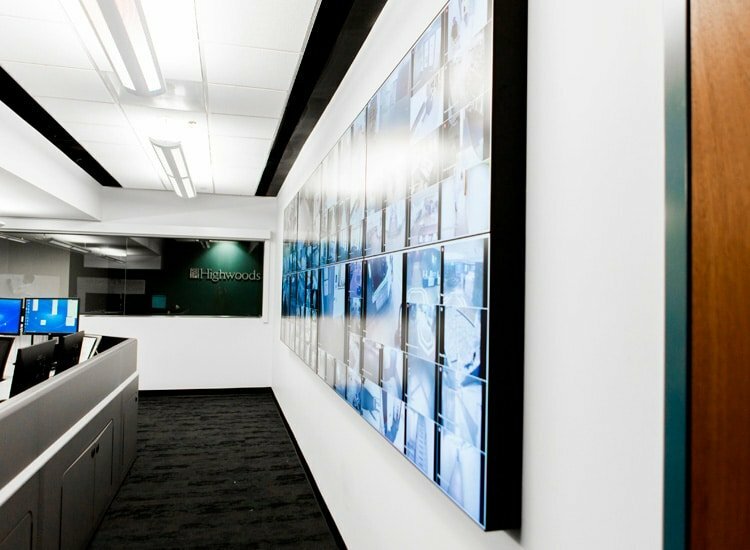 An eye-catching video wall and command center that allows Highwoods to keep both Highwoods and their tenants safe. The technology enables the Highwoods team to be confident that they are capturing a true sense of what is occurring across the spaces in the builds.